A few days ago I took a trip to Boston with roomie D and it was a doozy. Boston was fun, but it’s nice to be back in the city. Anyway, there were a whole host of tourist attractions that had to be seen, so we definitely did the Freedom Trail and saw all those places. One of the places I was most excited to see was the Old North Church, where two lanterns were hung to warn the patriots of the British troops’ arrival by sea (“One if by land, and two if by sea”). Ah yes, the American Revolution was always my favorite war to study in school. 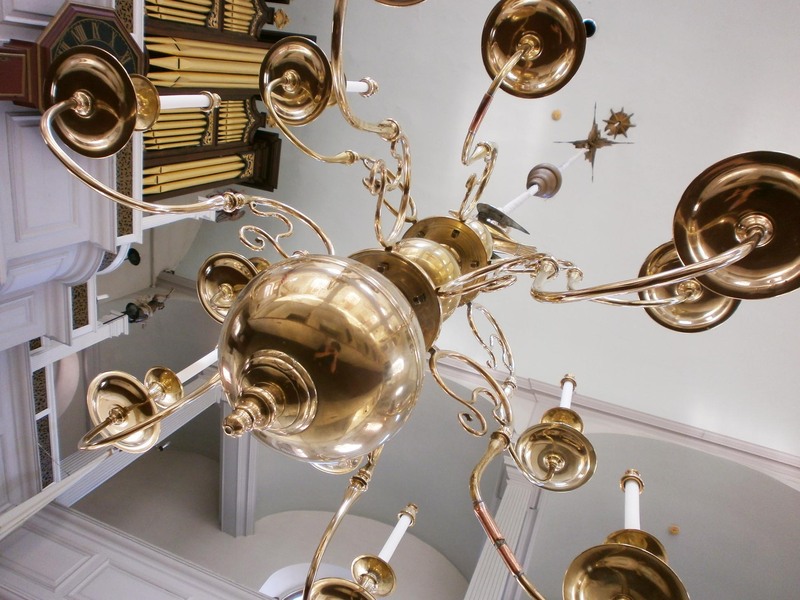 The picture is of a chandelier hanging in the church.